Happy New Year everyone! 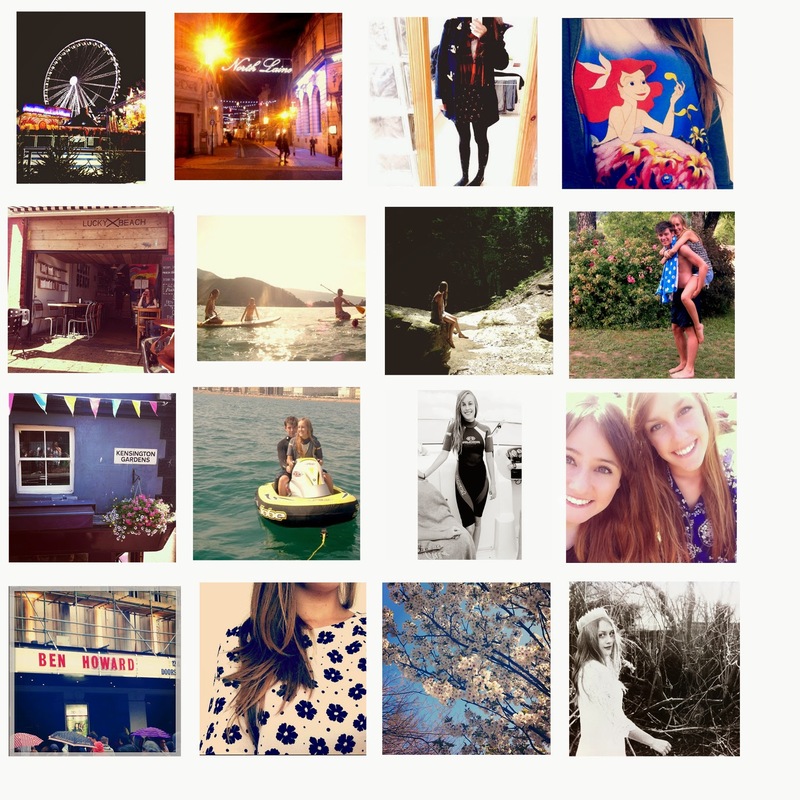 I just thought I would do a little post and after seeing these kind of posts from Lily and Olivia, I wanted to make one so that I could share and actually see for myself in one place what I'd actually done this year, but I was very disappointed to realise that I hadn't taken many photos in 2013. It just goes to show either what little confidence I have with just snapping at anything I'd like to or how little I actually did last year (feels so weird to say last year when we've only been in 2014 for 2 days!) Looking through things this year really has helped me decide what resolutions I wanted to make, even though I know people have their opinions on resolutions, I feel they are nice way to kick start a year and give something for people to push themselves to do no matter how big. But firstly a little round up. I took my first trip to winter wonderland this year and it was truly magical everything about it! - Brighton at Christmas time is so pretty I couldn't help but snap the laines lights - The first time I was confident enough to wear my duffle coat - A little mermaid top makes bed time 100% better - Discovered this cute cafe on the waters edge - An amazing holiday spent in Annecy, France where we paddle boarded, explored waterfalls and goofed around with Sam and the family - Devouring goodies on a balcony at Kensington cafe - Playing around on a blow up in the summer - Seeing HAIM, Mumford and Sons, Vampire Weekend and others with Danni - Seeing Ben Howard which was amazing! - Purchasing my favourite dress from everours - I just love blossoms in the spring time - and finally one of my favourite photos from my A Level photography. And of course starting my blog, it's only been two months but already I am having so much fun taking photos, uploading and rambling. But now some resolutions which really would make 2014 better than 2013 and here they are..
- Take more photos - I'd love to feel more confident and properly document my year. - Travel more - It doesn't have to be abroad just to see and do different things. - Stop picking my nails!- I can never paint them because they're always too stumpy. - Work hard to get into university. - Make more time to see friends. - Drink a lot more water, or anything for that matter. I would also like to say thank you for those that have decided to follow me and those that have even just had a little read of my blog and commented, I enjoy reading them all, they are so lovely and I appreciate it all! I'm definitely with you on traveling more and drinking more water!